2018 is fast coming to a close and the new year is soon to be upon us again and so we’d love to invite all of our members to the 2019 Game Day & Annual General Meeting – hosted on Saturday 12th of January, to be held at the Grange Live Gaming in Birmingham. Doors will open for 8.30am, and we will hopefully start playing at 10.00am. Cost for attending this UKAPU exclusive game day is £25 (£5 deposit and £20 on the door). The venue itself has no parking but, there is very reasonably priced parking around the venue. 1) Not a member? You can join UKAPU today for free – please visit https://www.ukapu.org.uk/join for further details. 2) The nomination period is open for all positions (as it is every year), so if you wish to join the committee in either a vacant position, or challenge someone who already holds a position and is up for re-election, please contact us. 3) We are still accepting points to discuss at the AGM/management meeting, please forward these to us if you have any. We at the UKAPU committee look forward to your attendance! I am raising money for a local Homeless charity called Hope into Action. In September I undertake a mammoth challenge of riding 980 miles over 9 days with 52000 feet of climbs for Charity. Am hoping to raise money for a local Homeless charity called Hope into Action. Ever since the introduction of the amended Policing and Crime Bill last year there has been a cloud hanging over HPA RIF users in the UK. Specifically that most full auto capable HPA airsoft replicas could be ‘readily converted’ to exceed the 1.3J airsoft threshold, or could be regarded as ‘capable of’ more than 1.3J in their stock form. UKAPU have been actively pursuing a resolution for HPA users and as part of this ongoing effort, Vice Chairman Tim Haines, has been involved in discussions with Polarstar to address the aforementioned issue and as a result we are conducting a poll on behalf of Polarstar. How does this help HPA users? Polarstar are producing a modular regulator, which will allow UK HPA owners to build compliant HPA powered RIFs. Polarstar will be producing piston regulator assemblies for multiple PSI settings, which we hope, will give us the means to ensure that selective fire HPA RIFS can be safely operated under the 1.3J legal limit. We urge all of our members to share this poll; the greater the number of responses, the better the data. UKAPU Press release – New regional rep for the Midlands. We are pleased to announce the latest member of the UKAPU committee, Leigh Batson. Leigh will be taking on the role of regional representative for the Midlands and will be the main point of contact for dealing with issues and queries from UKAPU members in that area. We hope all UKAPU members will make her feel welcome! 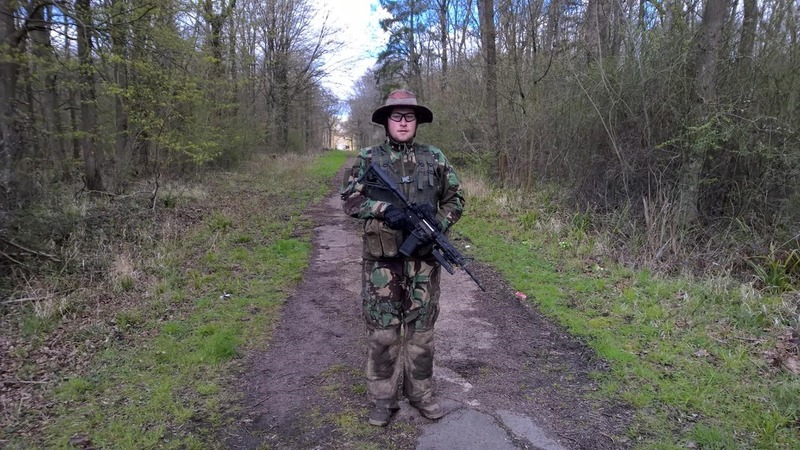 “I joined the world of Airsoft in 2015, originally as a photographer for my partner but, after shooting some of his airsoft guns I became really attached and brought my own, a G19 springer from the market. I only needed to practise until I could afford my pride and joy, a custom internal MP5K AEG PDW variant. I loved the game for the pure friendship everyone showed each other, both on and off the field. It gave me a way to spend some more time with my partner and to understand a sport I’d never really heard of until then. Fast forward to now and I am the proud owner of Task Force Stalker Airsoft, based primarily in Leighton Buzzard. I am also the team captain for Bedfordshire in the Inter-County Airsoft Competition. I volunteered to become part of the UKAPU because it meant I could actually make a difference in the sport and to be a part of something much bigger and more influential within the Airsoft community. Policing and Crime Act 2017 Anniversary Cake! The UKAPU has sent out an update regarding the last raft of legislation that came and went, now a year on how do things look? It has now been a year since the commencement of the Policing and Crime Act 2017 and thanks to the community, lobbying, retail and trade groups, airsoft ultimately came out on top. So here are a few words from the committee members here at UKAPU. “Here we are then! A whole year has passed since the Policing and Crime Act 2017 came into effect; the Earth is still turning and we are all still happily enjoying our wonderful sport. As a result of the PCA 2017 – and for the first time since airsoft arrived on our shores – it now has a proper definition in law. Airsoft has been referenced in primary legislation and is no longer loitering within secondary legislation. This is rather significant for us as it affords airsoft more protection and actually shows that parliament is happy for it to continue to exist. UKAPU committee members worked tirelessly towards ensuring that skirmishers didn’t get a bum deal. Our primary goal was to ensure that skirmishers had a voice during the discussion and consultation stages, that we weren’t stuck with a 1 Joule maximum energy limit and that airsoft didn’t get shoehorned into or tacked onto some piece of existing firearms legislation. It goes without saying that without all the support of our members we really would have struggled. Your donations contributed towards getting committee members to Home Office consultations and meetings, creating and distributing campaign materials and promoting the issue amongst the airsoft and firearms community and press. Unfortunately after all this hard work we still have some unanswered questions. We are still dealing with a couple of grey areas with regard to the wording and players have been contacting us on a regular basis since the commencement of the PCA, all asking how they can stay legal. The present situation is that we can’t currently give any definitive advice. Trust us when we say this is as frustrating for us as it is for you and getting this situation rectified is still an ongoing priority. So to celebrate the first anniversary of the PCA 2017, our chairman David has procured a cake! He said he would share it if he could but, as he can’t he will eat it on behalf of the committee and our members! 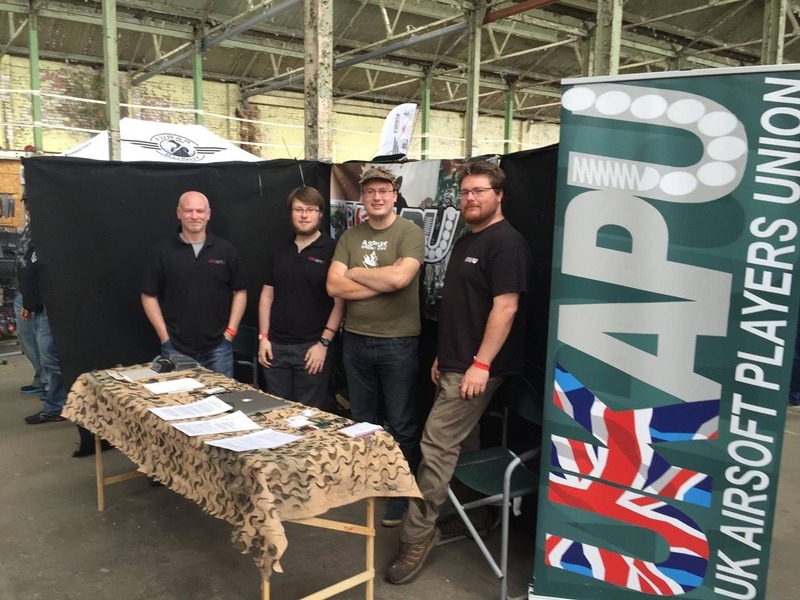 The UKAPU AGM is the perfect opportunity for UKAPU members to ask questions, to make a suggestion or put forward an idea to the committee and to help steer the direction of UKAPU and Airsoft in the UK. Or maybe you just want a day out skirmishing! Either way, if you are a member, you are most welcome to join us! The AGM is to be held at the very excellent The Gaol Events Airsoft site in Oakham on the 13th of January 2018. About UKAPU: UKAPU is an unincorporated non-profit association formed by a dedicated group of Airsoft skirmishers to help protect and strengthen our hobby. By providing a united and official organisation that represents players, we can far more effectively engage in discussion with the government, other organisations, and the press when skirmishing comes under threat. UK Airsoft Players Union and Western Australia Airsoft Club officially ‘tied the knot’ this month! The two organisations elected to officially affiliate, in recognition of their shared aims and values and in a show of international solidarity amongst airsoft players. Australia operates under common law which comes from in the UK, yet, in stark contrast to the UK, Airsoft is banned. WAAC has it’s work cut out for it in trying to get the ban lifted in a single state of Australia, with the hope that the other states will follow. The UKAPU committee was very impressed by the competence and commitment of the WAAC team and have confidence in their ability to lead the fledgling Australian airsoft community toward accomplishing this mammoth task. “I am happy to announce that UKAPU is affiliated with Western Australia Airsoft Club, Inc. The organisation is run by a few passionate individuals who are committed to getting Airsoft legalised within the state of Western Australia – and eventually propagating it throughout the rest of the country. WAAC have already made some significant headway. They met with the Shadow Minister for Police, who stated that he was “embarrassed with the legislative regime” regarding the provisions of the Firearms Act being applied to the sport of Airsoft. Successfully ran a ‘Nerf gun amnesty’ campaign which caused a stir in local media regarding nonsensical firearms legislation in WA. This week they will be meeting with the State Minister for Police, the first ever airsoft group to be granted an audience. For more information on the WAAC campaign please visit http://airsoftwa.com.au and like their Facebook page https://www.facebook.com/AirsoftWA/ and ask your Aussie mates to do so too, they really need the support of locals who may want to play airsoft in the future! To follow on from the news of the resignation of our former chairman Matt Furey-King – it has been decided by the committee that the new chairman of UKAPU will be the previous vice-chairman, David Weston. Additionally UKAPU can gladly announce that there has been a small reshuffle, with the South West representative (Tim Haines) simultaneously becoming vice-chairman – as well as an introduction of a new person into the fold, Robbie Hutchison acting as our new Scotland rep.
David has been with UKAPU since February 2016, and since that time has been heavily involved with the running of the union, as well as campaigning against attacks against the Airsoft amendment that eventually landed with the enactment of the Policing and Crime Act 2017. We would like to thank all of our members for having in faith in us. As the new chairman, I hope to build on this and continue the good work that Matt and the rest of the committee have been doing tirelessly for Airsoft in the UK. First of all, we are extremely sorry for the problems with the UKARA player database. There is (and has been since the problems started) a temporary system in place that all UKARA retailers are using to do look ups of players. To counter any rumours the database is still available and being used. UKARA had a sustained and continuous denial of service attack take place over several months which caused the server admin people to turn off the server. To prevent a repeat of the problem we had to find, employ and design a new more modern hacker proof system. Matt Furey-King here. I’d like to announcing that I’m stepping down as Chairman of UK Airsoft Players Union. When I returned to the role as Chairman in 2015 my intention was twofold; to get the association back on its feet, and to make sure we had player representation throughout the Policing and Crime Bill passage. My return was only ever supposed to be temporary, the committee knew my intention from the start was to stand aside on the commencement date of the new law. So here we are. I’m pretty disappointed that the PCA is still an open subject, that we still need to push the government for clarifications in order to find out how to comply with the new law. There’s some grey area which I think will one-day spell real trouble for some poor airsoft player. As much as I’m dying to help with this situation, I have to call it a day and move on. Unfortunately, other parts of my life have been suffering due to lack of attention, I’ve been so distracted by all this airsoft politics going on these last 2 years. My girlfriend Po Ling has been very accommodating but even her impressive patience with me is wearing thin! So it’s time to get my priorities straight. The way I see it I’ve done my bit and to be honest other people now need to step up to the plate. I am massively proud of the work UKAPU has done. 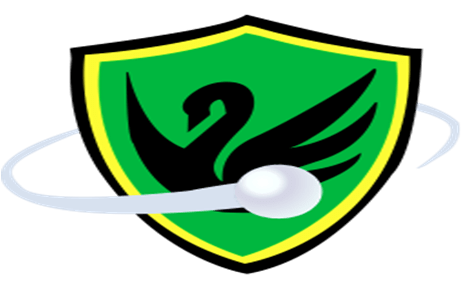 Over the last decade many hobbies have been restricted or eroded or banned in the UK, modern society doesn’t seem to have any room for people like us who like having fun in non-vanilla ways. But airsoft has not fallen, we’ve stood our ground, we’ve not been bullied and suppressed, we fought back on every level. It’s really impressive, and we have a bright future if we make this unity and determination a core part of our identity as UK airsoft players. You might be worried that UKAPU is going to disappear when I go, as most of our announcements come with my name attached. But the reason you see so much of me and not much of the rest of the committee is because I have been the associations figurehead, actually there’s half a dozen people working hard behind the scenes that you don’t hear about. I have a huge amount of confidence in the remaining committee and the association. We have 4000 members, a great reputation and a great future. Let me tell you, the committee have some fantastic plans for the next few years that will be a huge lift for airsoft. David Weston, UKAPU Vice Chair, has taken command of UKAPU. Soon he will hold a management meeting and the committee will select a new Chairman, and it would not be appropriate for me to preempt that vote. But there’s some really great guys working for UKAPU at the moment and I have every confidence in them to lead the association forward. That said, I won’t be disappearing completely and will still be available to help and advise them, if they so wish. Of course I’ll be an active UKAPU member and you’ll all see me around at airsoft games, as normal. All that said, UKAPU does have a high turnover of volunteers (voluntary associations tend to, people’s circumstances change and they often run out of free time to commit). The committee already has a few vacant positions and, unless they can fill positions and spread the workload, the association could go into a downward spiral. So PLEASE, if you are a self-motivated and literate airsoft player and have some free time, give them a message on Facebook and volunteer for a committee position. Now is the time. Later in the year I’m aiming to put more time into my airsoft channel, Claymore Airsoft TV. I’ve got some fun content planned so please give it a sub or a like if you want to see what airsoft shenanigans I’m up to. Huge thanks to all the people who have done so much to help me achieve my aims over the years, especially my fellow UKAPU committee members. I know UKAPU has a bright future ahead if all of you support the next leader of UKAPU in the same brilliant way you have supported me. The circular for the airsoft parts of the PCA 2017 was released today. In light of the questions that have been raised, this document is where we would have expected to find the guidance for airsoft players. What Home Office have published is extremely limited, and we do not expect to receive further clarification in the short term. Please stand by. Soon we will be publishing further information on how you can help us get some real answers from the government. We’ve recently created the first comic in our series called ‘The Little Annoying Things in Airsoft’, it’s a humorous take on those annoying things we all see down at our local field each week. We finally are able to tell you some good news about the draft UK law affecting airsoft. At the start of the year the government released the Policing and Crime Bill (PCB), which included a clause to set the lethal threshold at 1 Joule of muzzle energy. This would mean that a barrelled device would be essentially regarded as an air gun if it had muzzle energy of over 1J. In 2015 the law commission suggested (based on input from UKARA and UKAPU) that airsoft replicas should be allowed an exemption from the 1J lethal threshold, as 1J would be far too low for our needs. The government accepted this and wrote it into the PCB. The first draft of the airsoft exemption was not that great. 8mm airsoft would not count and, arguably no airsoft device would have been able to use the proposed exemption because they are capable of firing non plastic BBs. The airsoft associations were invited to discuss the exemption with the Home Office firearms department in March, and the results of that meeting, plus 8 months of lobbying behind the scenes, have finally paid off. Trying to get exemption through at all was a feat. Though the government supported the exemption it came under attack from a Labour MP and then later from a Conservative Lord. The anti-gun groups and even part of the gun lobby objected to it. But through a combined effort from UKARA and UKAPU we’ve managed to not only get the exemption for airsoft through, but also convince the government to make some small changes to it, which have just been submitted in the form of amendments (these are yet to be voted on at time of writing but should be integrated during the Lords report stage). When the Bill is enacted in early 2017 we’ll have clear power limits for airsoft and a better definition of what an airsoft gun is. Not only will those limits reflect the realistic power output of airsoft replicas, but they will also not interfere with the normal power limits that we use for gaming. So instead of being limited to 1J, we’ll be able to play on mostly as normal. The lion’s share of the Home Office lobbying work was done by Frank, John and Adrian at UKARA. Without some shrewd tactics and persistent lobbying from them we’d never have got the amendment on the table. UKAPU spent a lot of time rallying airsofters and lobbying MPs without them there may have been more objections from MPs and Lords. Though we’ve not been able to talk about it till now, it’s taken a constant barrage of letters, calls and meetings throughout 2016 to get to where we are. The guys from UKARA also commissioned expensive laboratory testing of the penetrative properties of 8mm BBs, so we could ask the Home Office to extend the exemption to 8mm airsoft replicas as well as 6mm. UKARA have spent close to £10000 fighting for the airsoft industry. The Home Office also deserve thanks. Some people imagine they are anti-airsoft, but in reality the civil servants have invited the airsoft associations to comment on the bill and have taken those comments on board even though this created more work. They have done their utmost to ensure that the airsoft game and industry isn’t compromised by the new law. Government Ministers such as Mike Penning MP have spoken in defence of our right to play airsoft and supported us throughout. The elephant in the room is, still, fully automatic replicas over 1.3J. If it is capable of more than 1.3J then your replica may be regarded as a section 5 firearm. This could mean that GBB and HPA replicas are prohibited weapons, and it could mean you might land a 5 year prison sentence for importing an AEG which is more powerful than advertised. We also need to ensure that airsoft replicas aren’t regarded as ‘readily convertible’ to firearms, as they can all be converted to exceed the new thresholds. UKARA and UKAPU have been raising this issue with the government for the last year, and it seems they have now taken it on board. We are due to see them early next year to discuss a solution, separate to the PCB. For your convenience the amended clause 111 is below. The status quo has been more or less maintained but only through a mammoth effort behind the scenes. Please spread the word, people need to understand that airsoft needs constant protection, and the only way we’ve achieved this win is by working together under the umbrella of airsoft associations. United Kingdom: Matthew Furey-King, Chairman of United Kingdom Airsoft Players Union (UKAPU) and Vice-Chairman David Weston, today announced that UKAPU will host a private game open to all UKAPU members and the Annual General Meeting (AGM) at StrikeForce CQB. The AGM will be an opportunity for all UKAPU members to raise subjects for the agenda, elect committee members, and shape the future of UKAPU for airsoft in the UK.